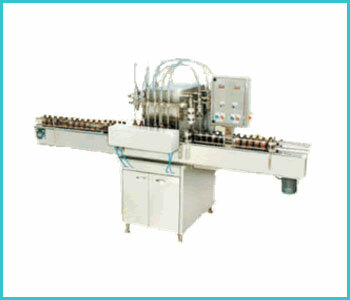 Overflow liquid filling machine is the most widely used machine in bottle filling operations. It handles a wide range of thin, free flowing liquids as well as liquids with medium viscosity. Overflow filling machine are also known as a “fill to level” filling machine or cosmetic height filler. Automatic overflow liquid filling machine fills to a target fill height in the container rather than volumetrically. The volumetric accuracy of this machine is excellent as container specification do not vary frequently. Bottle management and filling sequence is automatically controlled by liquid filling machine.